It is a great joy to witness the evolution of the revival of classical architecture, truly a global phenomena. Interestingly, it is taking continued new forms in different parts of the world as time marches on. It is always a relief to know of these positive developments and to report on them. This is evidence of a continued maturation that brings great consolation to anyone with good taste and it proves there is yet hope for us -- that some people out there still get it. Today "progress" actually means going back. Who would have thought? 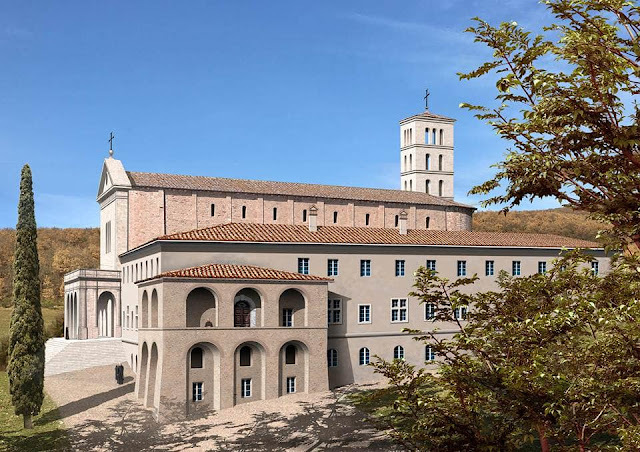 I encourage all English-speaking architects to always look to Italy. The Italians lead the way because they have been at this a lot longer than we have. Italy has been championing traditional architecture for more than 2,000 years. The global revival movement would be even more widespread in the Anglo world if the general populace read Sir Roger Scruton's The Aesthetics of Architecture. Part of the problem with the dictatorship of functionalism, as he explains, is that we are stuck with what he calls "aesthetic parsimony." In other words, we as a culture suffer from an extreme unwillingness to make things beautiful. This is because it takes purposeful effort to make things nice. Pier Carlo Bontempi (born in 1954) is an Italian-born architect that is catching the eye of many with his noble works in classical architecture. He is representative of the "New Urbanism" and "New Classical Architecture," placing particular emphasis on traditional urban context and the continuity of architectural traditions. He is a rare example of European architects of today that can do traditional architecture competently. His firm, located in Parma, does a considerable amount of work in the area of restoration, rebuilding and urban planning. As with every good architect from even before the time of Michelangelo, he received his education in Florence. I encourage everyone to take a look at his website seen here. 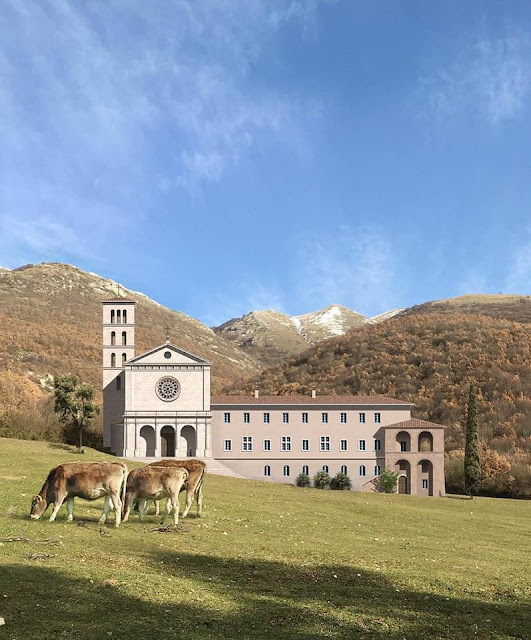 Architectural Revival has this to say of these images they shared on Facebook: "A new monastery to be build in Italy. Designed by renowned Italian architect Pier Carlo Bontempi. Mr. Bontempi takes his cure from the architecture of his native Emilia-Romagna region in Northern Italy. He creates buildings that fit seamlessly into their historic setting." He was featured on PBS: watch the video here.